DO YOU HAVE ANSWERS TO MY QUESTIONS ABOUT BUYING TICKETS? I am dependant on alcohol and sometimes I have horrible panic attacks, and I often suffer from anxiety. Clonazepam calms me down. I also feel pain in back and when I use Klonopin along with other meds for my back then they work together even stronger. We offer Senior Citizens a special rate for season subscriptions. We do not offer Senior Citizens a special rate to purchase single tickets. To qualify as a senior citizen, you must be 65 years, or older. We accept payment at the door with cash, credit card (MC, Visa, Discover) or personal check from a local bank with current address and phone number. 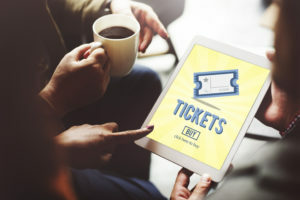 Subscription tickets are good for any performance throughout the season and may be used in any combination of performances.